Save.ca is your portal for your favourite brand name coupons and savings. 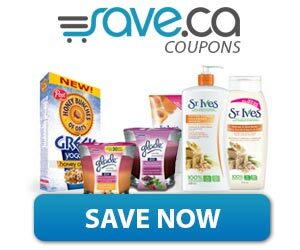 Watch for Save.ca coupons for your favourite household and grocery products. They also offer great flyers and deals for the savvy shopper. Be the first to know about contests to win gift cards and travel experiences. Jump on Free Product Coupons while they are available for your favourite items.